Sydney has registered a percentagebuilding 89-point victory. 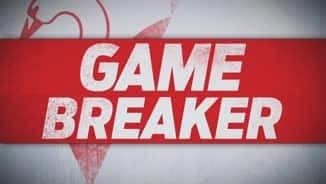 It marked Sydney's largest win since Round 11 2014 against Geelong, and Greater Western Sydney's largest defeat since Round 10 2014 against Richmond. 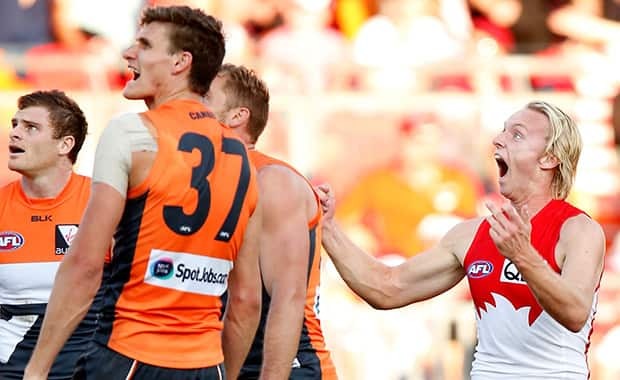 Sydney has taken 10 contested marks inside forward 50, the most by any team in a match since 2013 Round 16 when the Swans took 11 also against the Giants. Today, Greater Western Sydney have not taken any contested marks inside 50. GWS Giants InterchangeTomas Bugg off due to an injury. Giants InterchangeTomas Bugg off due to an injury. Sydney has capitalised on its ascendancy at the stoppages. From 47 clearances the Swans have directly scored 10.5 (65), equal to its best score from stoppages this season. The Giants have directly scored 2.3 (15) from 34 clearances. 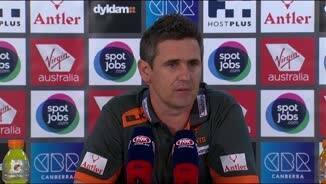 GWS Giants InterchangeWill Hoskin-Elliott off due to an injury. Giants InterchangeWill Hoskin-Elliott off due to an injury. With Kennedy's second goal, Sydney's score of 126 points is its highest this season. Rose has now kicked three goals in 21 minutes on debut, since he was subbed on at threequarter time for Heeney. 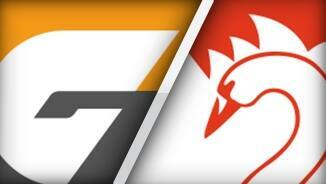 Across the ground, Sydney now has taken 20 contested marks, compared to Greater Western Sydney with just five. This season Sydney averages just 8.9 contested marks per game (ranked 17th in the league). Rose has kicked two goals from four kicks on debut, the last from a contested mark. 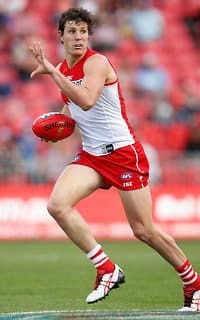 Sydney has taken nine contested marks inside 50, the equalmost by any team in a game this year alongside Hawthorn in Round 1 against Geelong. Kurt Tippett has kicked five goals for the first time since Round 11 2014 against Geelong. 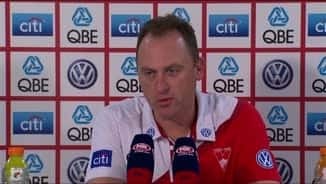 Sydney has comprehensively outplayed Greater Western Sydney in that term and now enjoy a 62point advantage at the final change. The Swans recorded 55 more disposals, seven more clearances, nine more inside 50s and won the term by 38 points. Giants InterchangeAndrew Phillips off due to an injury. Welcome to Spotless Stadium for the GWS Giants v Sydney Swans Round 21 clash.